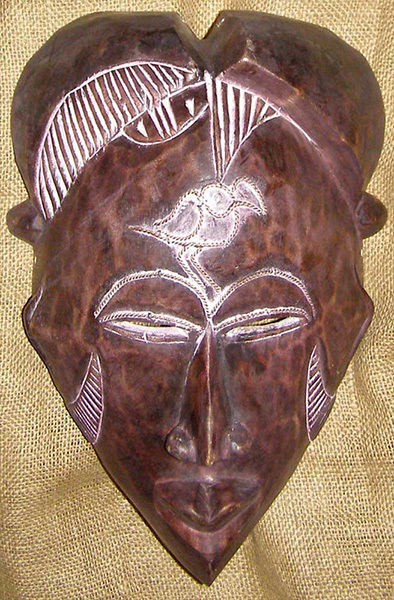 African art and masks of the Tikar. 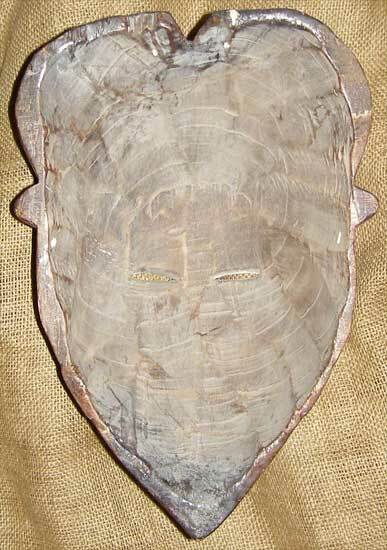 This African mask from the Tikar people of Cameroon is 13 inches tall, and 8.5 inches wide. It is hand-carved of wood, and adorned with copper leaf and wire. The rigidly observed stylistic elements of Tikar masks make them some of the most easily recognizable of all African art.